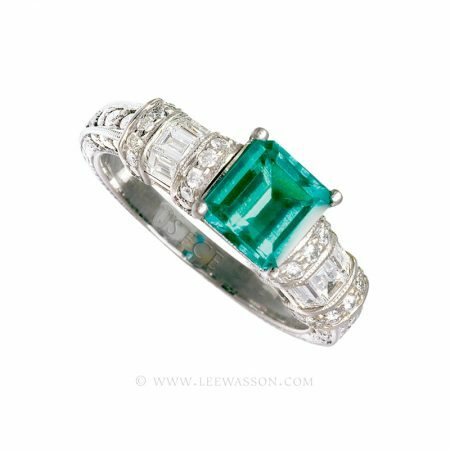 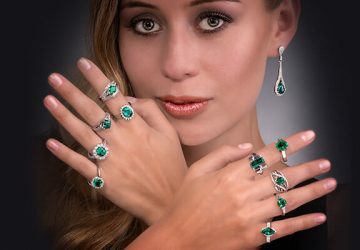 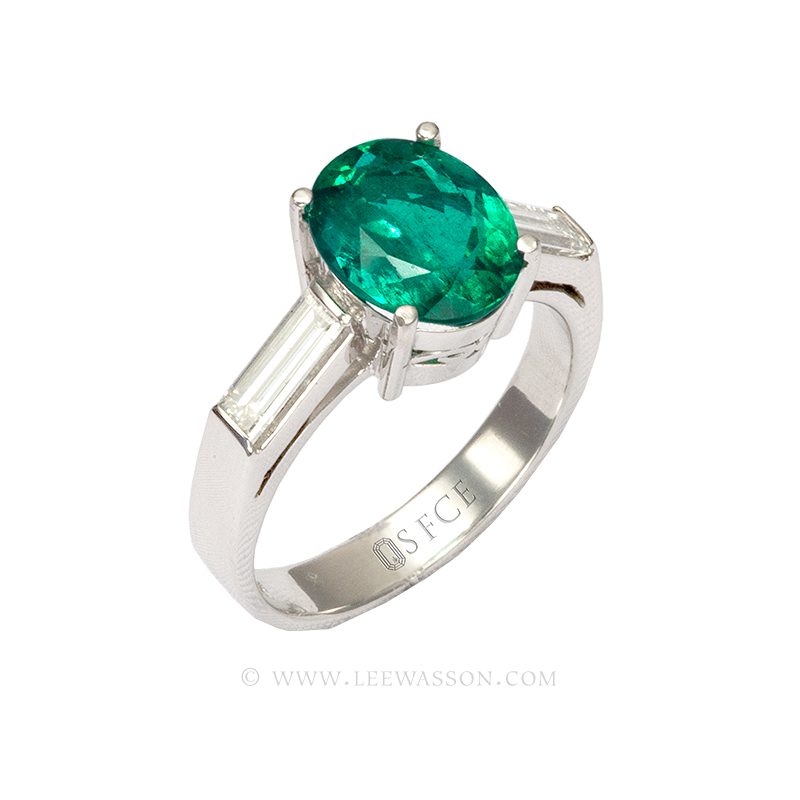 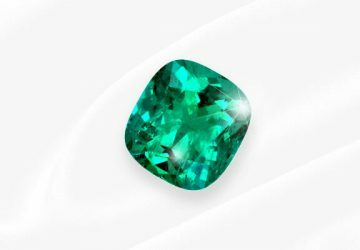 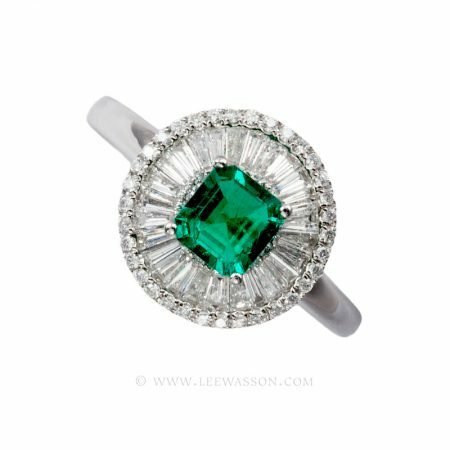 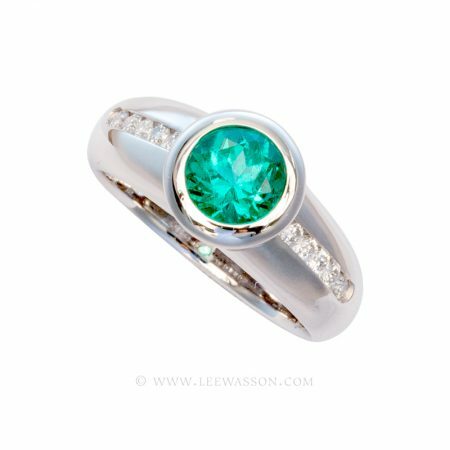 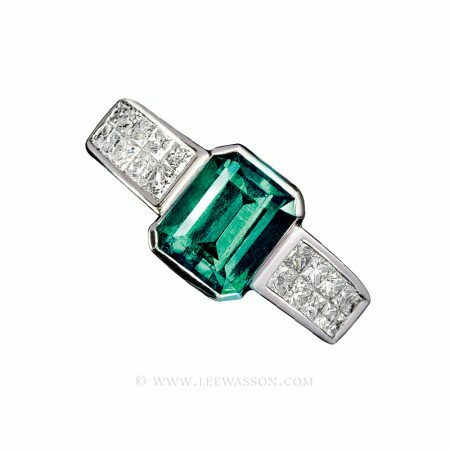 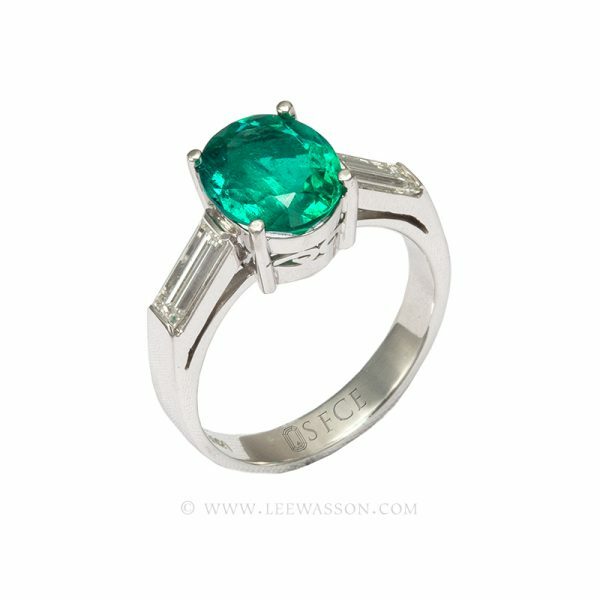 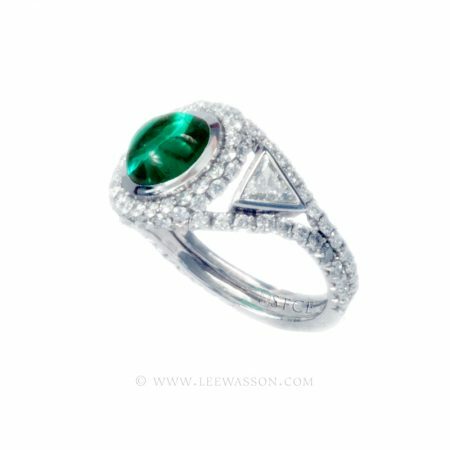 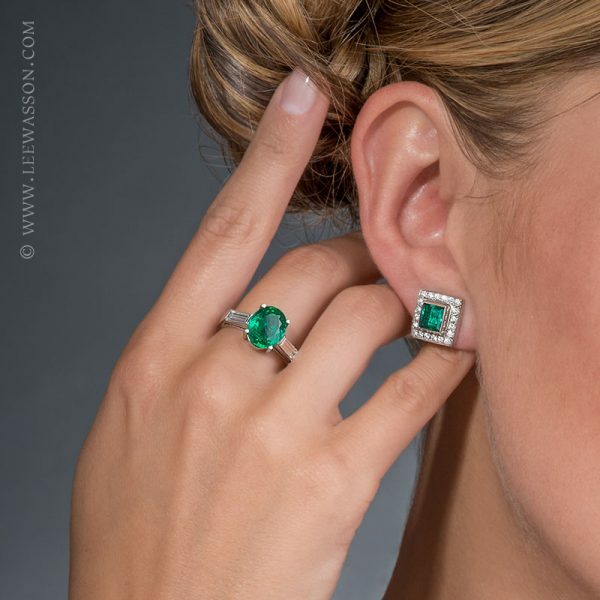 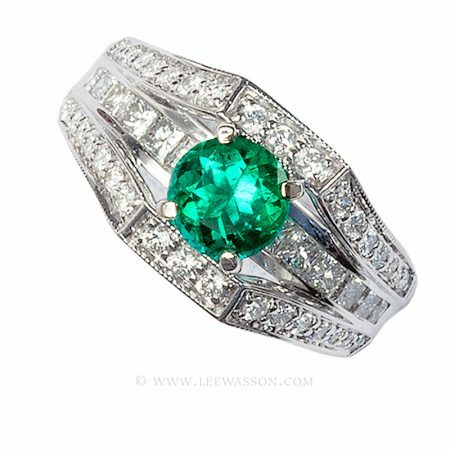 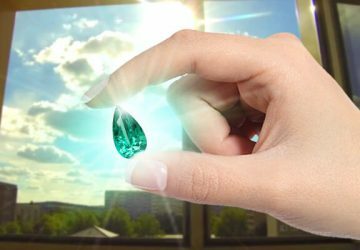 Emulating the Natural Beauty and vast array of greens found in the Amazon Jungle, this 2.35 carat Oval shaped Colombian Emerald Beauty is flanked by a combined 0.70 carats of White, baguette cut, H color, Vsi 1 clarity diamonds in a classic 3 stone aesthetic. 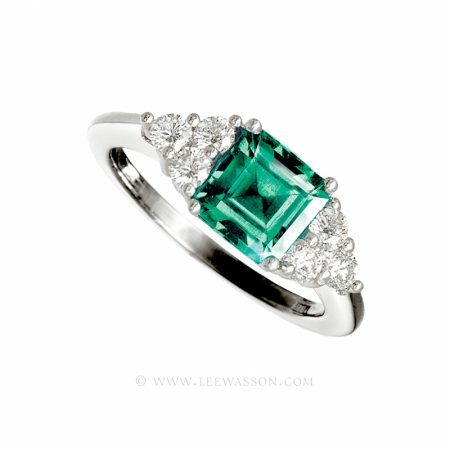 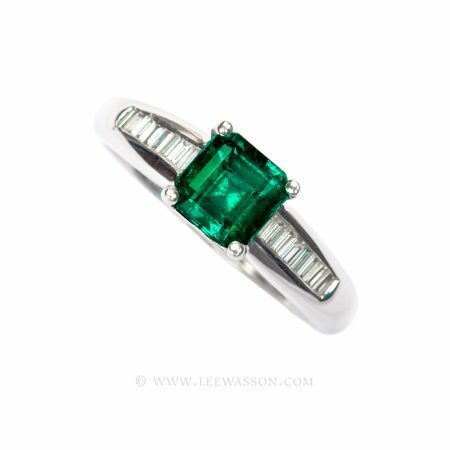 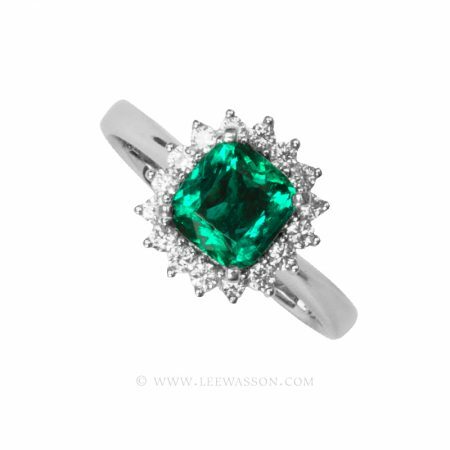 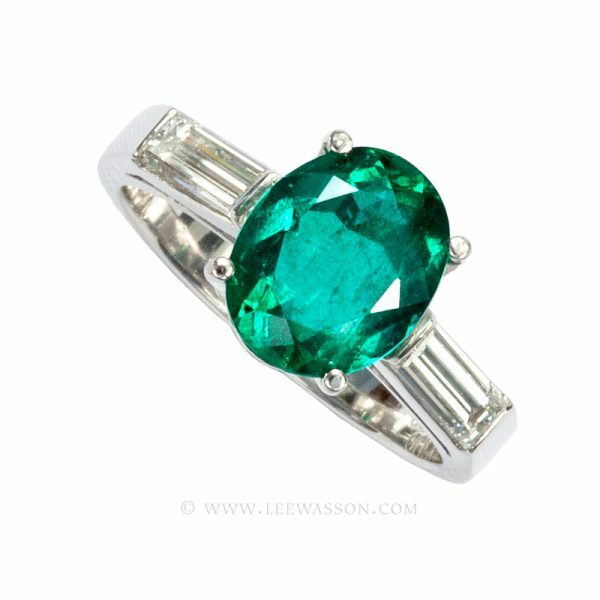 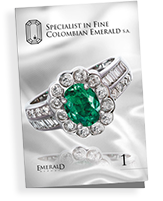 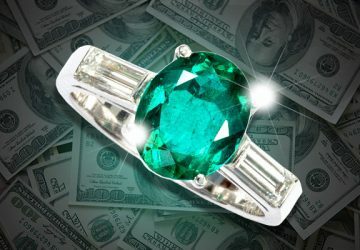 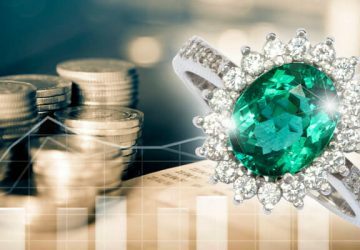 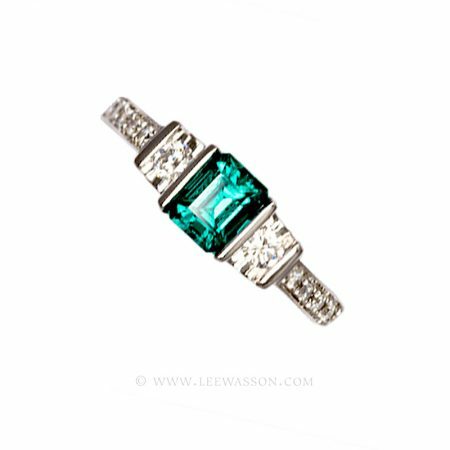 18k handcrafted white gold contrasts with the Deep herb green from the Famous Mine of Muzo, this Colombian Emerald ring will work as a magnificent engagement ring as well as a ring for the right hand. 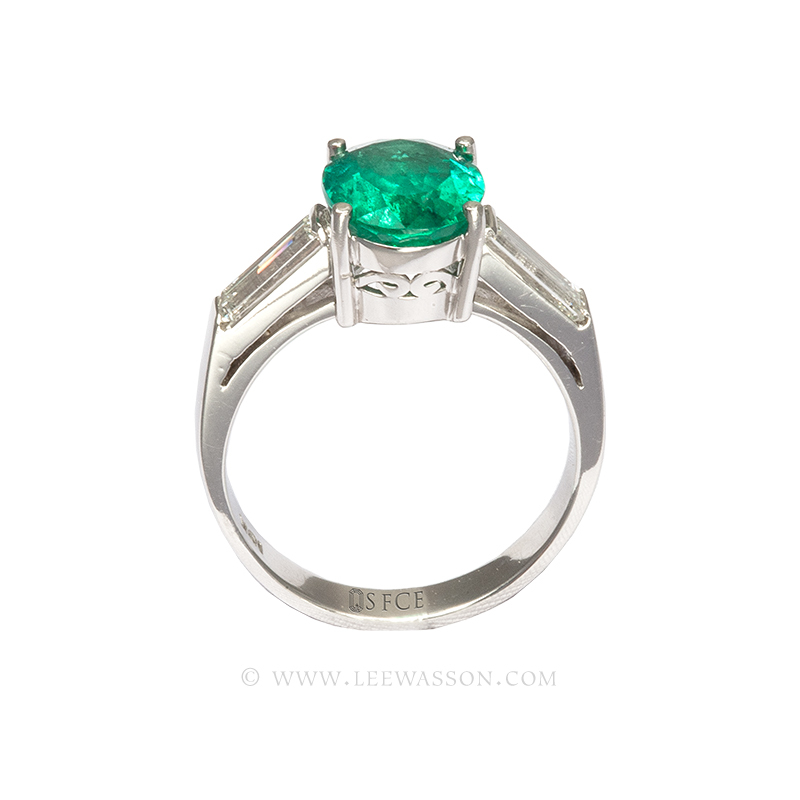 The Oval shaped cut is a modified Brilliant cut and has an elliptical shape when viewed from the top.